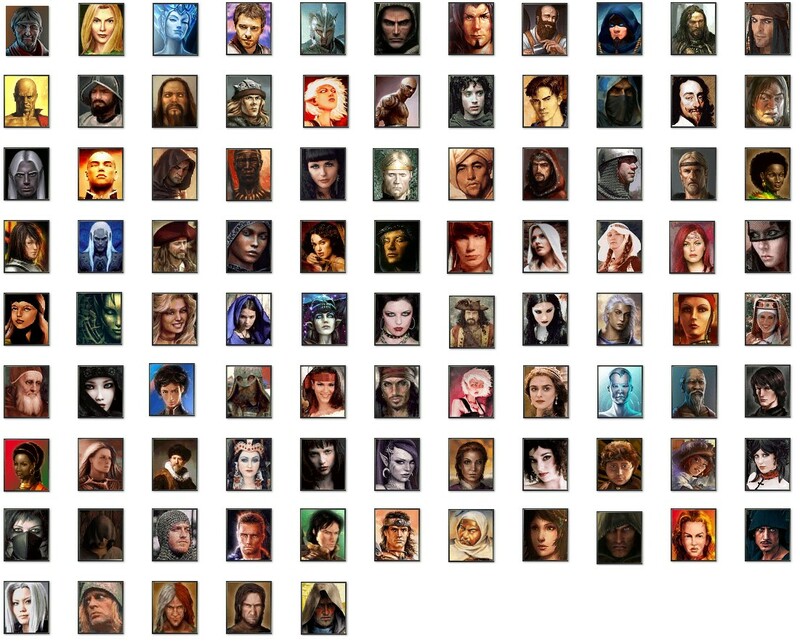 Updated to 1.5: better and more NPCs, restored old weapon values (with some tweaks), restored loot tables for monsters (100% vanilla now), many small improvements in item graphics, fixed double-wielding graphics for daggers and swords, easier installation, added vanilla-friendly settings and made most stuff optional, more reasonable class/skills tweaks, a couple of NPC profession tweaks, and more. Started recently to play MM6, but I saw there weren't downloadable mods for the vanilla game, except a mod called "Suicide Squad" by koval321. This mod contains many upgraded graphics that look definitely better than the originals, but also some that I didn't like much. But the thing that made me abandon the idea of using it in my game was the extensive changes that he made to the original gameplay(circus in all taverns, double damage for all weapons bows included, altered resistances for monsters, etc) and I didn't want to stray too far away vanilla gameplay. Still, there were some concepts I liked a lot (javelins instead of spears) and I wanted to play with the new weapon graphics. So I started to make this mod, borrowing many graphics from koval321's mod and adding some of my own. While making the mod, I wished I could restrict some equipment (helms, boots etc) for classes, and finally I found a way to achieve that too. So it became a gameplay mod, not only about graphics. You need MMArchive, GrayFace Patch 2.0, and MMExtension if you plan to use the altered skills and tables. You need MMArchive only for the sound files. Read the readme in each folder of the mod you want to install. It's much easier than in previous version. 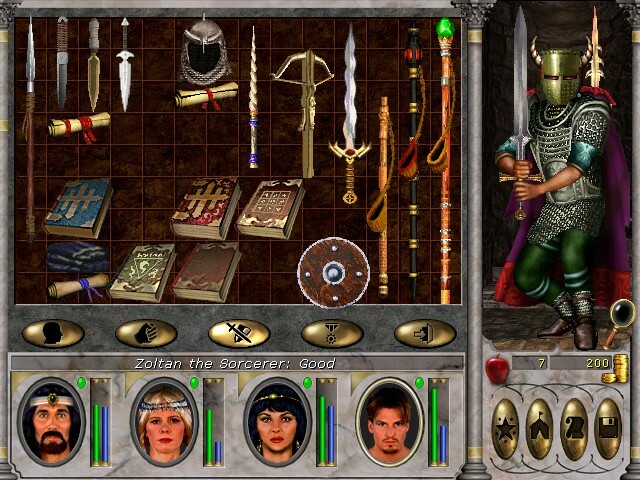 - IMPROVED GRAPHICS: for many weapons and for some armors. Many taken from koval321's Suicide Squad mod, often edited, others made by me. - Artifacts and relics have their own individual graphics, except some (armors and capes) for which this couldn't be done for engine limitations. In vanilla game all classes can wear all kinds of boots/helms etc. This had the consequence that after all bonuses from gear and enchantments, the armor class of a sorcerer wasn't much lower than the one of a knight. Now not anymore! Leather users will be restricted to hats, crowns, and the lowest(not enchantable) helms/gauntlets/boots. Chain users will have more choices (usually the tier 3 enchantable gear), and the highest quality is only for plate users. This is achieved by tagging the items as using leather/chain/plate skill. There was a problem though: if for example you wear chain armor + chain helm/boots/gauntlets, you get 4x your skill as bonus! I countered this by lowering the base gain to almost zero. This means that if you want to see some gain from using those items you should have some points in the skill already, otherwise you'd get better protection with leather gear (except armor). Leather gear doesn't use the leather skill and can be worn by anyone (except armor). - overall gear progression follows this scheme: L1 leather, L2 chain, L3 plate, L4 chain, L5 plate. There's an extra L2 plate helm, and some surprises among the artifacts. - leather is much weaker, so druids and sorcerers have to be careful. - chain and plate gear can be better (at skill >10) but require proper training, you can't just wear top gear to see massive bonus. - Javelins: ranged, they replace spears and can be equipped instead of bows. They are a bit weaker than bows, they can't double shoot, but they receive the armor bonus for expertise in spears (you can get +8 if you have a halberd/trident equipped for melee). - Throwing Daggers: ranged, they replace long daggers. Same remarks made for javelins (except the armor bonus). - Staff Slings (optional files with weapon restrictions): replace broadswords, use staff proficiency, and are meant to give clerics/druids a ranged weapon. Since spear and dagger skills weren't meant for ranged combat, raising the skill won't increase ranged accuracy, only melee. I don't know if you can have 3x damage with throwing daggers, but I doubt it. They're meant as extra/early weapons, unless you use the optional tables that restrict class skills (especially bows), in this case they become important for classes that can't use a bow. Normal monsters: +10% HP or +25% HP. Enhanced monsters (extra ranged/melee attacks/spells): normal, +10% HP, +25% HP. All optional and can be combined. - Paladins have slightly more HPs, but less SPs. - Archers have slightly more SPs. - Sorcerers have less HPs, but more SPs. - Druids have less HPs. - Clerics and Knights are unchanged (only base values slightly). Read the specific readme for more details. Halberds and hammers are two-handed only. Two handed weapons have generally better chance to hit than one handed ones, that are sometimes less powerful than in vanilla (especially 1-H swords and daggers, that can be double-wielded, doubling both damage and bonus to hit). Ranged weapons do slightly less damage (the cheapest weapons at least). Last edited by mg979 on Jul 4 2018, 10:38, edited 25 times in total. Updated to 1.0b: revised a bit the HP/SP progression table, closer to vanilla(more balanced now). You don't need to start a new game. my game keeps crashing and i get this error message last time: . "Rot in Hell You Penny Pinching Miser!" the beavers1 wrote: my game keeps crashing and i get this error message last time: . Reworked most of the mod and made most stuff optional, better and more NPCs, restored old weapon values (with some tweaks), restored loot tables for monsters (100% vanilla now), many small improvements in item graphics, fixed double-wielding graphics for daggers and swords, easier installation, added vanilla-friendly settings, more reasonable class/skills tweaks, a couple of NPC profession tweaks, and more. A new game is recommended unless you use vanilla settings. Last edited by mg979 on Dec 5 2016, 15:29, edited 3 times in total. Hi, the old link is dead (gives 404), can someone please update the download link? Thank you very much. Energy damage - is it actually a separate damage type in the game or is it simply physical damage that ignores AC? I would pay for this! !